Kahana Villas condos for rent in Maui are a fabulous west Maui Vacation rental property in a perfect Maui location and at affordable prices! Just 50 yards from the Beach! Kahana Villa condos for rent have a Swimming Pool, Hot Tub, and Tennis Courts, with a Barbecue Area at the pool. Located between Kaanapali and Kapalua Golf Resorts and just a few minutes drive into the famous town of Lahaina. Kahana Villa #E1404308 WE pay you to stay! Cash $ back after departure! $99 Spring Special! Valid 05/21-05/26 & 06/07-06/14! This charming one bedroom unit features beautifully appointed island Mango wood cabinetry throughout. Relax and enjoy stunning ocean views, lush tropical grounds and a pristine sandy beach at our beautiful, newly remodeled 4th level 1-bedroom, 1-bath condo. Kahana Villa #F1404108 WE pay you to stay! Cash $ back after departure! $115 Spring Special! Valid 05/10-06/15! The Kahana Villas resort features a wonderful swimming pool with BBQ facilities, a Tennis facility and ample parking. Kahana Villa #F1380507 WE pay it forward! The ALOHA way! Cash $ back after your departure! Ocean view townhouse style condo across the street from the beach in Kahana. 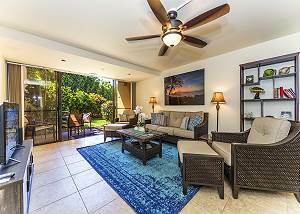 Kahana Villa #E1404704 WE pay you to stay! Cash $ back after departure! $159 Spring Special! Valid 04/24-05/04 05/12-05/17! Located directly across from Kahana Beach less than 50 yards from a beautiful sandy beach with excellent swimming conditions! Our two bedroom oceanview view home with over 1200 square . Relax amidst the lush tropical grounds and at our beautiful, newly remodeled ground level, 2 bedroom, 2 bathroom condominium!. Enjoy the island breeze and ocean view from your lanai at this spacious 2BR condo.